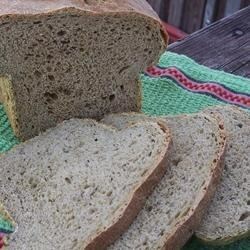 "Hearty and delicious, this bread tastes and smells great." Place all ingredients in bread machine pan in the order recommended by the manufacturer. Select white bread cycle. i used fresh, not frozen spinach. my 4 year old ate about 1/4 of it (inside only) my husband put garlic butter on it and my 14 year old ate as much as anyone. Everyone loved it.